WHAT: When Erudite leader Jeanine (Kate Winslet) recovers a mysterious box containing a message from the colony’s founding fathers that requires a Divergent to unlock it, she orders her cronies to round up potential candidates to put through the box’s rigorous testing process. Meanwhile, Tris (Shailene Woodley) and Four (Theo James) unite their Dauntless friends with the factionless rebels – led by Four’s presumed-dead mother, Evelyn (Naomi Watts) – to take down Jeanine and the whole faction system. WHY: Unlike some of the more successful YA book-to-film adaptations, the “Divergent” series has continually failed to prove why Veronica Roth’s trilogy is such a big deal. The first installment was plagued by a troubling lack of excitement, suspense and emotion, and those problems continue with “Insurgent.” Though it boasts some great talent in the form of Shailene Woodley, Kate Winslet and Miles Teller (the latter two of whom are smartly given more to do this time around), it’s not enough to disguise the movie’s numerous issues, especially when it wastes so much time doing nothing. 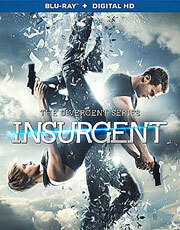 The end of “Divergent” seemed to point towards a move outside the walls surrounding the dystopian city where the story takes place, and yet all of “Insurgent” is set within those very walls, suspending its characters in narrative limbo in order to slog through an entire novel of mostly filler. “Insurgent” could have been the “Catching Fire” of the “Divergent” film series, building on the original premise in bold and fresh new ways, but instead, it’s a sluggish, twiddle-your-thumbs chapter that’s more about the setup than the payoff. 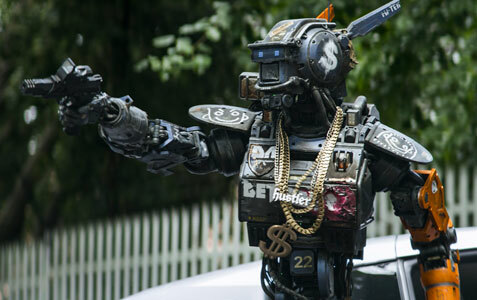 EXTRAS: There’s an audio commentary by producers Doug Wick and Lucy Fisher, a feature-length documentary about making the film, and a quartet of featurettes on adapting the source material, the cast, shooting the train fight sequence and Miles Teller’s character, Peter Hayes. WHAT: After one of their own is killed while working undercover in Beirut, Section 20 agents Damien Scott (Sullivan Stapleton) and Michael Stonebridge (Philip Winchester) are forced to cut their vacation short in order to stop a criminal group that is funding terrorists in the Middle East. 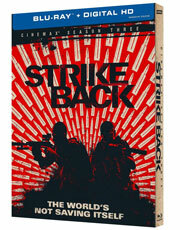 WHY: You’d be hard-pressed to find a more enjoyable guilty pleasure on television than “Strike Back,” a show that cares so little about logic that you can practically see the writers bending over backwards behind the scenes to come up with new, ridiculous ways to defy it. The Cinemax action series doesn’t pretend to be smart (on the contrary, it almost revels in its shoot-first-think-later absurdity), but that doesn’t make it any less entertaining. Though Season Three is probably the weakest installment to date, particularly due to some rocky storytelling that jumps from one loosely connected subplot to the next as if they’re making it all up as they go along, Sullivan Stapleton and Philip Winchester boast such great chemistry that it’s easy to look past its obvious flaws. Their characters may have more lives than a cat, so you know they’ll make it out of whatever crazy situation they’ve gotten themselves into unscathed, but that’s part of its allure. Well, that and the fantastic action sequences, because what “Strike Back” lacks in great writing and acting, it more than makes up for with some of the best action on TV. No movie franchise embodies the term “meh” better than the “Divergent” tetralogy, because although the second installment is a competently made sci-fi thriller, it suffers from many of the same problems as the last movie – namely, a troubling lack of excitement, suspense and emotion. You’d think the fact that “Insurgent” isn’t bogged down by the same tedious exposition would allow the film to dig deeper into its characters and mythology, but you don’t learn much more about the main players by the end of the movie than when it began. That might be forgiven if author Veronica Roth’s universe was the least bit interesting, but the whole faction concept is so silly and contrived that it’s a wonder no one thought to question it sooner. And to think there’s an entire faction dedicated to intelligence. 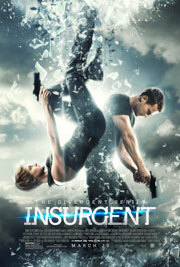 “Insurgent” picks up several days after the events of the first film, with Erudite leader Jeanine (Kate Winslet) denying involvement in the attack on Abnegation, instead placing the blame on Tris (Shailene Woodley), Four (Theo James) and the rest of their sympathizers, who have since sought refuge with Amity. When Jeanine recovers a mysterious box containing a message from the colony’s founding fathers that requires a Divergent to unlock it, she sends bulldogs Eric (Jai Courtney) and Max (Mekhi Phifer) to round up Divergents to put through the box’s rigorous testing process. Meanwhile, Tris and Four unite their Dauntless friends with the factionless rebels – which is led by Four’s presumed-dead mother, Evelyn (Naomi Watts) – to take down Jeanine and the whole faction system. It shouldn’t come as a surprise to anyone that “special one” Tris is the key to unlocking the film’s MacGuffin, which apparently doesn’t even appear in Roth’s novel, because there isn’t a single original idea in the movie. The generic plot device doesn’t serve much purpose, either, other than to keep Jeanine busy and provide a staging ground for the special effects-heavy final act that puts Tris through a series of virtual reality simulations designed to test her aptitude in all five factions. The problem, however, is that with the exception of the final 20 minutes and a few small character moments, “Insurgent” doesn’t do enough to progress the overarching story to warrant an entire film. The big reveal at the end will undoubtedly change the direction of the series going forward, and hopefully for the better, but the real question is whether anyone will still care by that point.